Berber carpet prices vary with the construction, materials, and store where you buy it. Wool makes the best Berber carpeting, nylon makes a good Berber carpet. Is the carpet made by hand or machine? Berber carpet cost is only one gauge of a carpet’s value, so don’t be too fast to buy just by price because it could end up costing you more in the long run. 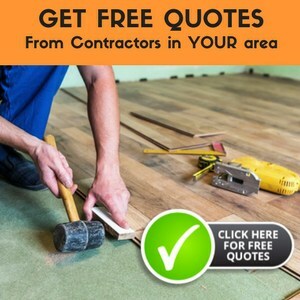 Check out The Flooring Lady’s comprehensive reviews and comparisons of some of the best Berber carpets that are available. Are you looking for a beautiful way to cover your floors that is warm and cushiony? You may want to try Berber carpet for your floors. This looped carpet helps give your feet a cushiony walk, and it’s always warm and comfortable to walk on. Berber carpet is very popular in homes these days due to its classic beauty. Berber carpet prices range widely, so it’s important that you learn as much as possible about this carpet so that you will be satisfied with it for many years. Go to different flooring stores and manufacturers to get your Berber carpet costs. You’ll find that both quality and price vary tremendously from carpet to carpet, and from store to store. Shopping around ensures you’re getting the quality and price that meets your needs and your budget. The cheapest Berber may not meet your needs and desires for quality flooring. Many of the cheaper brands of Berber won’t hold up well to a great deal of walking, and may not be as easy to clean if you happen to have a spill or other accident on the carpeting. If you want your Berber to last for years, then you need to buy the highest quality Berber that you can afford. This includes wool and nylon Berber carpet over the more synthetic carpets that are available. Think of your carpet purchase as an investment in your home. If you keep this in mind, the Berber carpet cost will not be as important as finding quality carpet that will hold up well in your home for years and years. Spending a little more now on your Berber carpet choice will save you money in the long run because it’s easier to maintain and won’t have to be replaced often. Isn’t that what you want? Berber carpet that is high quality will be softer than some of the less expensive kinds. It will be more comfortable to walk on and will keep you satisfied with your choice for many years. Keep this in mind when you look at different brands of Berber carpet and you evaluate the different Berber carpet prices that you find. Do not let price solely dictate your choice or you could deeply regret it between the comfort and longevity. It could end up costing you more in the long run if you don’t buy wisely today. Be sure that you touch with your hand the Berber carpet you are considering. If it feels soft when you pass your hand over it, it will also feel good when you walk on it. See how it springs back when you push on the fibers. Research what fibers the carpeting is made of. If it is nylon or wool, then you have a higher quality Berber. If it is not comfortable, keep looking. Use your money wisely so that you’ll have a carpet that can last through many years of wear and tear, looks beautiful, and feels great.